Vancouver newspapers didn't quite report the story correctly when the Titanic sank on April 15, 1912. That much is obvious from a series of newspaper clippings that history site Retronaut posted this month. The site shows that The Vancouver World reported "Titanic Sinking; No Lives Lost" on the day it fell beneath the Atlantic Ocean. Science publication io9 since called that the "Most inaccurate headline in the history of the universe." The Vancouver Daily Province didn't fare much better, reporting that "probably no lives will be lost." But Vancouver papers weren't alone in reporting the deeply erroneous information. The U.K.'s Daily Mail reported "No lives lost," according to Journalism.co.uk. But how did they report it so wrong? Christopher Sullivan, features editor at the Associated Press, researched how the story was reported and said that, in the case of The Daily Mail, it wasn't completely the paper's fault. "In the course of the wireless chatter someone asked the question: 'Are the Titanic passengers safe?' … Shortly after came back the answer: 'The ship is being towed to Halifax and everyone is ok'. That second transmission was accurate, except it didn’t refer to the Titanic," he said. Still, that's not enough to save the headlines from going down in infamy. The Daily World was horribly wrong. "Passengers transferred to Cunard liner Carpathia -- all are now safe." And so was The Vancouver Daily Province. 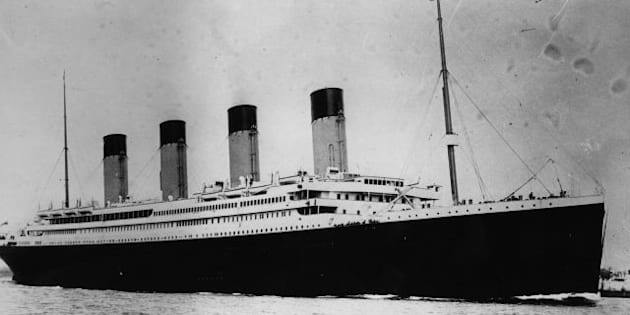 "Vice-president Franklin of the White Star line said at 6 o'clock that he had definite information that all the passengers had been transferred from the Titanic." Meanwhile, The Sun was more cautious. "Craft going to aid is capable of accommodating all, and best is hoped for." The World corrected the erroneous information the following day. "Death list grows more apalling (sic) hourly." And so did The Daily Province. "Death list now stands in vicinity of 1350." The Sun, meanwhile, didn't mince words. "Most appalling and tragic marine disaster in the history of the civilized world."